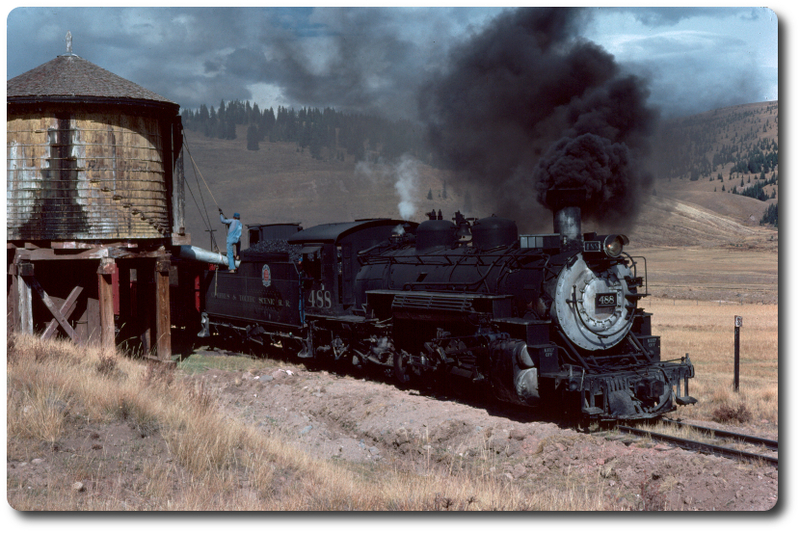 This is a forum for the discussion of narrow gauge and steam railroading with a primary emphasis on railroads operating in the US. While discussions of modeling are welcome, please try to limit such discussions to issues relating to the prototype. This forum is not associated with any organization or group, and the authors of each post are solely responsible for the content of their post. The forum is open to anyone to read, however if you wish to participate, you will have to register, and to provide a valid e-mail address. When you do so, you will be sent a confirmation e-mail with a link which you can use to activate your account. You are free to use a handle as your screen name should you wish to do so, however we do ask that you provide a real name in the profile associated with your handle. Beyond that all we ask is that you accord yourself as if you were visiting a friend's house, or roundhouse. Remember, you are responsible for anything you say. Rights to all posts are owned by their respective authors. All other content copyright 2000- 2017 NGDF, all rights reserved. why was 497 not used in 1968? Last Post by Bill M.
NNG - Skookum Struts Her Stuff On TRAINS Charter! 493, then which is next? 498 possible?